In the late 1960s American pony cars battled on tracks across the states in the TransAm series; Mustangs, Camaros, Firebirds and Javelins, all fought for the title of 2+2 champ. It's no wonder that countless tribute cars have been built to celebrate an era of semi-unlimited racing and great drivers' battles, many commanding insane dollar values. So it's good to see an affordable one for sale. 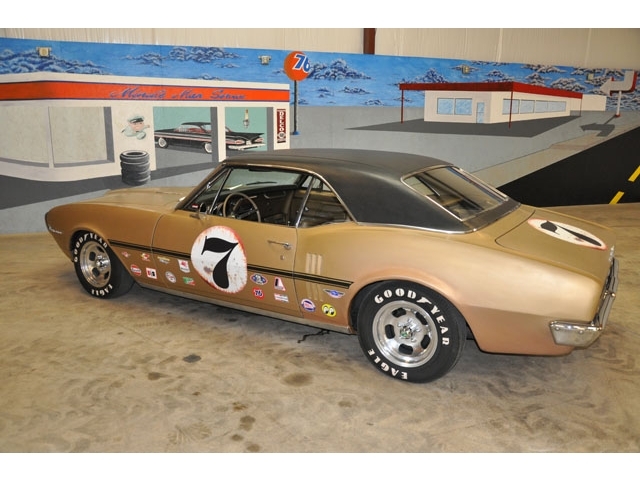 This 1967 Pontiac Firebird faux vintage racer is for sale in Lebanon, TN for $11,500 buy-it-now on ebay. First we want to recognize that this car looks the part of a used/abused racer and its patina'd exterior is a welcome change from most of the over-restored crap on the road. However, where this Vintage Racer breaks down is when you pop the hood and see a dirty inline 6 rotting under between the fenders. The first generation base Firebird was powered by a 3.8 liter inline 6 that puts out 165 SAE gross horsepower and should be good for 0-60mph in about 10 seconds. Unfortunately, it is mated to an automatic transmission that will sap any residual fun from the driving experience. The inside of this gold/gold beast is complete, but dirty and shows some sign of wear. Its a wear that comes from use instead of age and doesn't look that bad. This is a car that we'd be tempted to leave alone and let it wear its weathered look with pride. Even the numbers on the side are showing signs of fading - either a well done fake patina, or a legitimate effect of the cars age. Our only complaint about this car is that total lack of driving excitement from its engine - but the price is low enough that perhaps the new owner could save a few bucks for a V8 or maybe even a turbo on the I-6. One look under the hood, and all bets are off at the current price (already 11.5K). ~ the Pontiac OHC 6 was a very advanced American engine in '67 with much racing and developmental success. 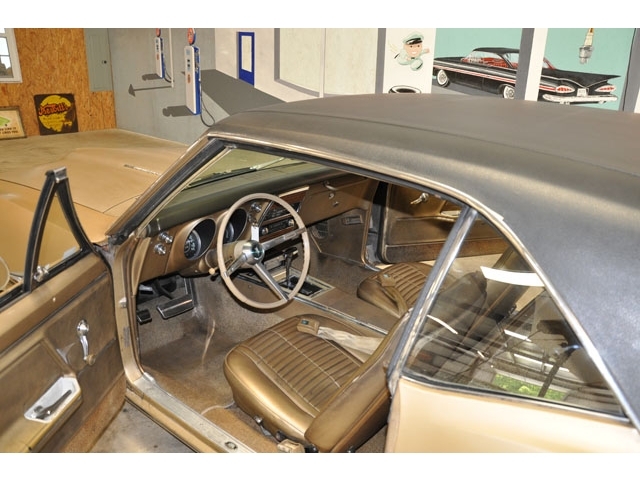 it shared internal dimensions with the standard 230-cubic-inch (3.8 L) Chevrolet I6 block, but was available with a four barrel and a four speed. the first American performance six-cylinder. I was going to say somthing about this engine if sombody didnt. thankyou. Its a great engine when paired with a four speed. ~ @ William Robinson, very true. a remarkable evolution of the OHC engines racing in Europe up to this time. the tri-power is fine sculpture for me. presume you have seen the Pontiac Banshee? 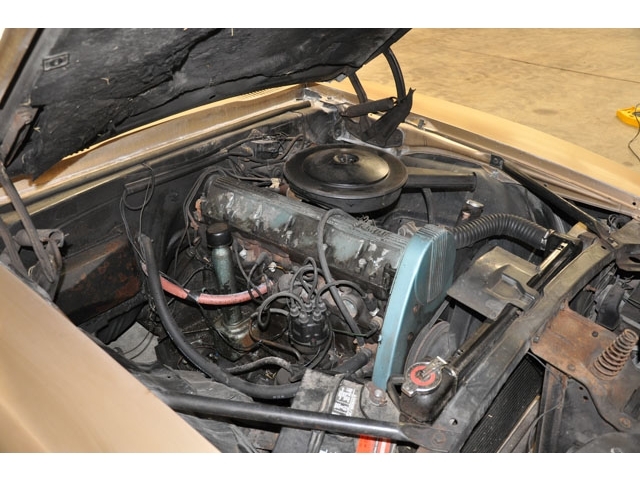 Okay it looks like we were wrong to be dismissive of the 6 cylinder lump under the hood...and while its not even a flow-through design it did make in 165 horsepower in 1967, which was 5 horsepower more than the infamous Buick/Olds/Pontiac/Rover all-alloy 215 (3.5 liter) V8 made in the same year. ~ didn't read your remarks as dismissive in the least. the Pontiac 'iron duke' 4cylinder is another long lived achievement that on occasion is pigeon-holed without note. the mantle of 'GM's performance division' shifted with whom you were talking during the period, but the 'tin indian' made a fight of it. is that a word yet? Faux racer is right. How many 6 cylinder automatics ever made it on to the race track? In Sprint form, this engine was upped to 205 hp, with a 10.5:1 CR. Honestly, that engine is one of the things that really attracts me to this particular car. I wonder how hard it would be to find and install a four-speed gearbox?